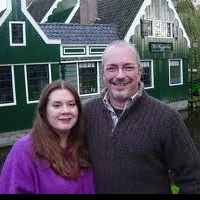 The Linneweh’s planted a church in early 2010 in Maastricht, which is in the southern part of the Netherlands. The people there are disillusioned with religion and they want to encounter God in a powerful way that will forever change their lives just like Saul on the road to Damascus in Acts 9. Their church has seen people from at least 60 nations visit its services. This is an area where they can be part of Christ’s cry to “...go into all the world and preach the Good News.” Maasticht is a city with almost 30,000 students from many nations being educated in English, it sets the ideal backdrop for international outreach to students and families alike.